Over the last couple of books, I have subtly taken my writing in a slightly different direction. More so with my latest novel, just released, The New Beginnings Coffee Club. I am exploring difficult issues, putting more emotion into my work – whilst hopefully, at the same time, retaining my signature humour. It’s early days, but reviews have so far have bowled me over and I’m thrilled that many readers have picked up on this change and loved it. However, I’ll admit it’s not been easy. My agent and editor have both helped. I’m a rather emotional person in real life (just ask my long-suffering husband!) but for some reason this doesn’t always transfer to the page. So I’ve had to push myself. I’ve had to come out of my comfort zone. I’ve always been wary of becoming complacent and letting my writing stagnate but it can be scary trying something different. What if I fail? It’s a bit like cooking, as a parent. You discover your children’s favourite dishes. To please them, you cook them regularly. Serve up the same seven meals every week. Eventually the inevitable happens – what was once special and unique runs the risk of becoming predictable to them, if you carry on in the same manner. So, for want of a better analogy (well, it had to be food-related in my world!) I’m trying to avoid that by creating new recipes, with more unusual flavours, and a deeper flavour. This requires more effort. More thought. More time. It’s a risk. Some readers may prefer what they are used to. But my motto has always been if we don’t take risks in life, what’s the point? When I look back over my own life, every time I’ve stepped out of my comfort zone it’s been terrifying. Yet those moments have led to unforgettable experiences that have helped me grow as a person. Like when I moved to France and worked at Disneyland Paris. Or when I got pregnant and gave birth to my children. There was the time I trained and completed a half-marathon. I learnt meditation. These challenges don’t have to be on a grand scale. Whether your challenge is joining a club to make new friends or changing jobs, it’s helping you achieve things you never thought possible. A big one for me was signing a publishing deal. 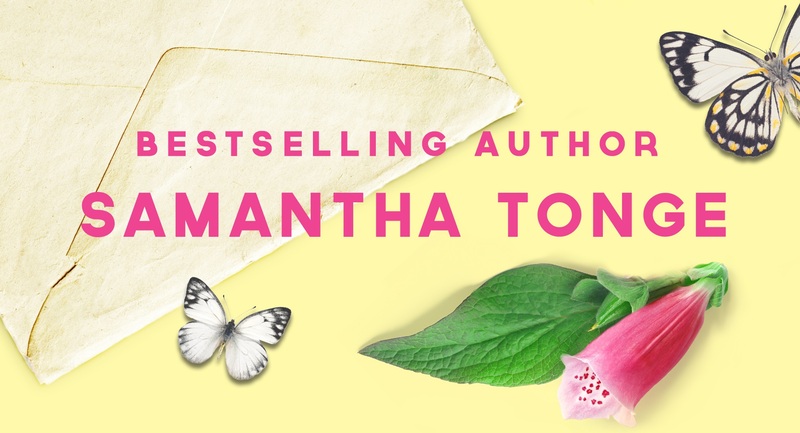 I’d loved being a stay-at-home mum for the previous sixteen years, so you can imagine how I felt attending my first fancy author party or visiting my publisher in London for a meeting. Yet I got through it. I left my comfort zone. I realised that, whatever they were, dreams could come true. I’m currently undertaking a twelve week course outside of the writing world, which will conclude with twenty-four separate hours of supervised practical. 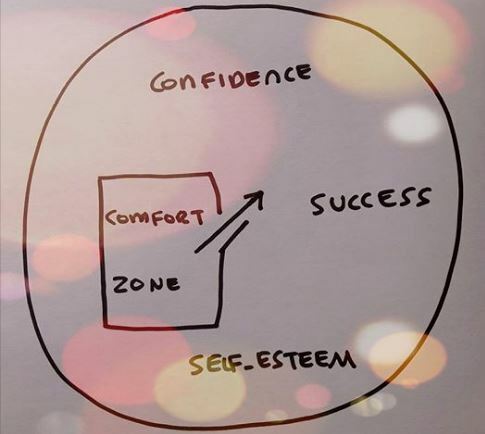 It’s scary but as each week passes I am growing in self-confidence and discovering different facets of my personality. I love the quote, below, by Simon Le Bon of Duran Duran (for those of you who remember the Eighties 🙂 ). Jenny, the heroine of The New Beginnings Coffee Club, is forced out of her comfort zone, when her world comes crashing down around her ears. It’s a frightening situation, when change is forced upon you. Courage is needed, to grasp the situation with both hands, and see it as a starting point and not an end. To realise that transitory discomfort might end up making you the person life always intended you to be. But some of us have the choice to step out of our comfort zone, so why not take a deep breath and do that with your writing? Whether that means finally being brave enough to submit your work – or to really challenge your craft if you are already established. Or to do that author talk. There is nothing to lose as you’ll learn something from the experience and use it to find success elsewhere. After years of getting rejections for my novels, I stepped out of my comfort zone to try my hand at short stories. Rejections came in but feedback helped me improve. I eventually sold dozens. This boosted my self-esteem. Gave me much needed validation and confidence. All of this contributed towards me finally getting that novel deal. Go on. Open the door. And take a bold step forwards. You can do it. This entry was tagged career, comfort zone, confidence, Duran Duran, Eighties, publishing, rejections. cooking, Simon le Bon, success, the new beginnings coffee club, writing. 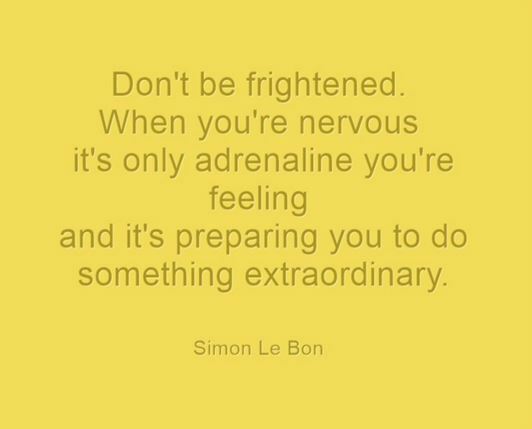 You’ve reminded me that it is a good thing to step out of your comfort zone, something I rarely do.I love the Simon Le Bon quote. Very inspiring post! Thanks, Sally, and congratulations on those short story sales! I find stepping out of the comfort zone often means following our heart. A little voice inside tells us what we should do, but sometimes it feels easier/safer to ignore it. Good luck with moving forwards!